The Global Business Degree is a unique programme, designed for students who wish to focus on business from the very beginning of their degree. Innovation and entrepreneurship are key pillars of this dynamic new programme. Study Abroad In your third year you’ll have the opportunity to study abroad. 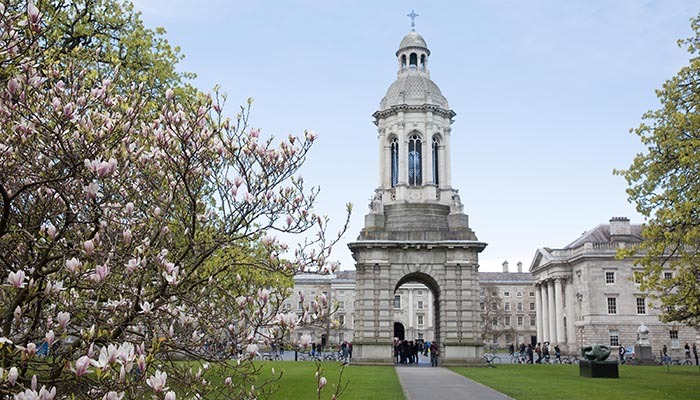 Whether you want a one-semester Erasmus exchange, or a year long global experience, Trinity Business School and its 50 partner universities together provide a unique academic, cultural, and linguistic opportunity and an exceptional personal experience. Internships Programme In the summer of second year, students have the option to undertake the Management Experience module which enables students to undertake an internship, build their own start-up, create a social enterprise or even construct a project for a Trinity recognised society. The Business School provides dedicated resources to fully support students through this process. Global Business is both innovative and practical with a strong focus on experiential learning. Trinity Business School places an emphasis on blended learning, where academic excellence meets industry experience. Professor Elaine Laing, Programme Director.